Mrs. Williams represented me with a criminal charge. I currently live in North Carolina and just being able to stay in contact with Mrs. Williams just eliminated much anxiety. She was honest and went above and beyond to make sure my case was dismissed. Mrs. Williams listens and looks at the entire situation in a whole. I was given two options with my case and the best one was chosen for me. I will definitely hire Mrs. Williams again if needed and she definitely the BEST attorney in Maryland! Good news.... the case was DISMISSED! Mrs. Lasheena Williams is an excellent lawyer she's very knowledgeable and made me feel very comfortable almost like part of her family If I could give her 20 stars I would, She also made billing so easy and I was able to pay on my terms especially if you wasn't prepared to obtain a lawyer. Mrs. Lasheena Williams guided me and kept me informed and updated throughout the whole process, you read reviews before obtaining a lawyer and what I read was more than I expected, I'm a hard person to please and I was blown away from her services and she has an amazing staff as well, I fully recommend Mrs. Williams for any services that you need you will be more than satisfied, I will not hesitate to call for her services as my attorney, Mrs. Lasheena Willams is an awesome attorney as well an amazing person she will fight tooth and nail for you. She represented me in Charles County and she was familiar with court house. I'm in Law Enforcement and have been testifying in court for 11 plus years. So I know good representation when I see it. The amount of documentation she acquired and how organized she kept said documentation was impressive. She befuddled her counterpart and I couldn't be happier with the end results. I did refer her to a friend. Don’t waste your time with those high fancy law firms. When you are in your time of need and you world is upside down and dealing with legal situations associated with a divorce. She is very effective and you need centered attention type of legal representation. I can’t and will not fail to call out her excellent legal staff. I was in a tough marriage for 2 years 8 months. I was seeking retainers from other attorneys and paying consultation fee after consultation fee and getting was not getting anywhere. I spent almost 2k in consulting fees. I was still even more frustrated with a how the divorce process works and still have not found a good attorney Then I Googled Ms. Williams. I explained to Ms. Williams that I need someone very tough as you my former EX wife is an attorney for the federal government and deals will prosecution. My divorced started off with Ms. Williams representing me in criminal cases from false charges my wife against. ALL of my charges were dismissed. I went thought accusation of abuse, and had at least 4 protective orders filed against me even 4 degree burglary when obtaining my belongings from the marital home with a court order; before we even got to the divorce got started. Ms. Williams will tell you a worst case scenario and fight for the best, long story short my ex-wife had two attorneys representing her and they both removed them self-from the case because they saw the case was going not going anywhere and them my ex-wife represented herself and we still won. I keep all my premarital rental property about 4 homes, my dump truck, 401K and was able to managed to get the martial house sold and divided 50/ 50 and best of all able to get almost 50% physical custody of my son. I would say Ms. Williams is worth every penny spent and I know that I have an excellent attorney if I every need her services again. Thank you so much Ms. Williams! Lasheena Williams agreed to take my case in the mist of it. Feeling like my initial attorney was not for me, Mrs. Williams was very understanding of my frustration of my divorce case. She was empathetic, compassionate and caring of the outcome. I felt that she was genuinely in my corner, fighting with myself and my children's best interest. I feel like she is family. She is phenomenal I would absolutely recommend Lasheena Williams. Has an excellent analytical skills and able to readily make sense of the large volume of information I had for my divorce case. She was creative and able to think of reasonable solution in my case. She also possesses a good oral communication skills and was effective in the court room and make convincing argument to the judge in my case. In closing, I highly recommend LaSheena Williams to anyone who need a divorce attorney. What a blessing to work with such a caring and compassionate firm. Attorney Williams has been a breathe of fresh air throughout this entire process. Ms. Williams helped me from losing my home to the bank, she help guide me through a difficult time in my life and fought for my needs in a way I don't think any other lawyer could. She helped me when no one else would, honestly. I would like to thank her and her team, may God bless them for the help that they gave me. She was worth every penny. I consulted with Ms. Williams and I found her to be knowledgeable, and compassionate. She gave me all the information I needed to make decisions regarding my case. She seemed to know how the Montgomery County courts work and all the procedures necessary to file for divorce. During my divorce she was professional and patient both with myself, my now exhusband and the run around we ran into while finalizing our case. Hiring Lasheena Williams as my attorney was the best decision I made. She understood my case and did everything in her power to get me the results I needed. 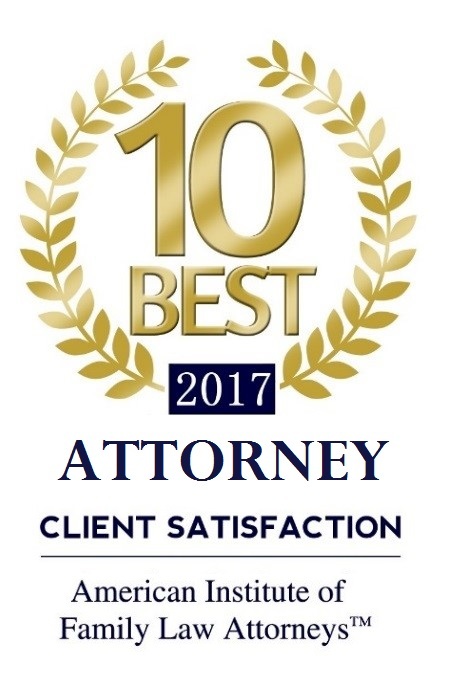 Her expertise and professionalism has surpassed my prior experiences with other attorneys, who charged me ridiculous fees and delivered no results. She always kept me informed and prepared me for every court appearance. I would like to thank Ms. Williams for guiding me through the legal process and confidently winning my case. I would definitely refer her to anyone who desires outstanding legal representation. Mrs. Williams is an remarkable attorney! She is brilliant, strategic, very knowledgeable, and honest. I have learned so much from her as she a good resource and person to have in your corner. Her staff was efficient, courteous, and responsive, which helped ease the process of going through my child support case. I am very happy that I chose her as my attorney and highly recommend her! LaSheena is an excellent attorney! She helped me with a legal guardianship situation and was very sensitive and understanding to the various issues involved. She was proactive, timely and communicated well through the process. Highly recommended! 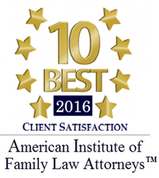 LaSheena M. Williams is by far one of the best family law attorneys in Montgomery County. I found her online and she agreed to represent me knowing that I currently live in Ohio. She has been thorough from day one, filing appropriate motions, revising items as needed and even took the high road of making many attempts to contact the other party's attorney for matters that could have been handled outside of court. When I went back to Maryland, I was able to see first hand what my hard earned money was paying for: someone who took to heart that she was advocating for me and for my daughter's best interest. Requesting a Best Interest Attorney to represent my daughter was the highlight of LaSheena's caring heart. During moments where my emotions may have gotten the best of me, LaSheena was always there to not only listen to me, but also to give sound, professional and fair legal advice. She has always assured me that she is in this for the long haul and her tireless efforts have proven this to me time and time again. I could not have found a better attorney to represent me. Dear Ms Williams thank you for representing me in my legal matter. It was a stressful situation but you were there with your constant reassurance. You fough extremely hard and for some very long hours. I am pleased with the outcome. You are truly a blessing and I can’t thank you enough. From the very fir(st), (w)ith Miss Williams on your side you'll have a professional intelligent articulate legal counsel. I met her through a company owner I do business with. From my first meeting with her and her staff I felt like a member of the family. After our first consultation I was sure that she would do all that she could to help me and my family through this difficult chaotic time. She did her research and came up with options that I hadn't considered for my divorce. I was able to walk away from my situation more pleased than when I had went in. I would wholeheartedly recommend her to anyone needing legal coun(se)l.
I wish I could give Ms. Williams 10 stars! This attorney is absolutely phenomenal! I live in Ohio and my ex-wife filled a temporary protection order in PG County, MD, alleging I abused my child while he was in Ohio. My son lives with me and the allegation was total garbage!!! I was scared half to death that I was going to lose my son and have my life destroyed. Ms. Williams listened to my concerns, was able to dialogue to me about the legalities of the case in easy to understand language, and really made me feel at ease during one of the worst periods in my life! When it was time to go to court for the full protection hearing, Ms. Williams was very laser focused on the case. This lady knows the law and FIGHTS like a tiger!!! The judge denied the full protection order and the case was closed. This lawyer is hands down...MONEY WELL SPENT!!! Her cost are very reasonable. I give Ms. Williams two thumbs up...WAY UP!!!! !